Don’t let a catastrophic injury put your future and finances at risk. Talk to a Yakima personal injury lawyer to find out if you have grounds to seek a monetary settlement for your losses. Accidents that result in serious injuries happen every day, leaving thousands of victims injured and dealing with the resulting medical debt, inability to work, and pain and suffering. Many of these individuals won’t be responsible for their accident, opening the door for them to pursue financial compensation through a personal injury lawsuit. If this is your situation, you should know that successfully seeking a monetary settlement isn’t always an easy process. Insurance companies and opposing attorneys can—and will—get in the way of the settlement you deserve. Fortunately, a Yakima personal injury lawyer from Craig Swapp & Associates can help you get a fair and full settlement rather than the bare minimum the insurance will want to pay. Virtually all personal injury claims begin with an investigation to determine who was at fault. In many accidents, more than one party will be at fault and owe you compensation for your injuries and damages. Motor Vehicle Accidents – Whether you were hit by a car, motorcycle, or truck, you’ll need to know who was truly at fault. This could range from the driver to a parts manufacturer and all the way to a government agency if a dangerous road was involved. Dog Bites – When a canine attacks and mauls someone, the dog’s owner or handler should be at fault, but where you were attacked and whether you were allowed to be there can affect this. Premises Liability – Property owners have a responsibility to keep their grounds safe for visitors. When a property hazard goes unaddressed, the owner should be responsible but might either claim not to have known about the danger or dispute your visitor status. Defective Products – If a design or manufacturing flaw caused you an injury, the manufacturer, shipper, or retailer could all potentially be to blame. Construction and Workplace Accidents – After an on-the-job injury, your employer might try to convince you that work comp is the only option, but you might qualify to file a personal injury claim instead. The medical care required to recover from a personal injury can leave you dealing with massive amounts of medical debt while you’re unable to earn an income. Your Yakima personal injury lawyer will make certain that these losses and any others are all taken into consideration by your claim. You’ll be able to claim losses for any financial expenses incurred by the accident and injury. This includes current and future medical expenses, lost income, property damage, caregiver wages, and modifications made to your home and vehicle to accommodate your injury. You’ll also need to be compensated for your pain and suffering, lost enjoyment of life, and any damage done to your personal relationships. 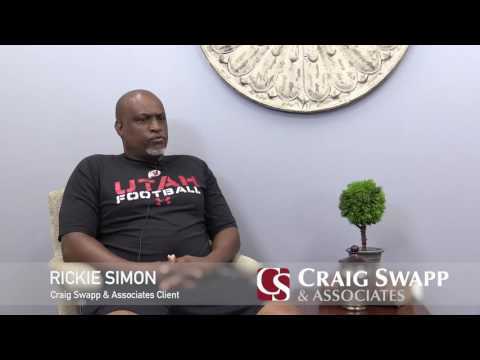 At Craig Swapp & Associates, we believe in doing everything possible for our clients to ensure that they receive the settlement they deserve for everything they’ve been through. To find out what your next step should be, schedule a free consultation with a Yakima personal injury lawyer. Just give us a call at 1-800-404-9000 or reach us through the contact form on this page.